Giannis Antetokounmpo: I've written his name once without getting a hand cramp, so forgive me if I only call him the Greek Freak, or just the Freak, from now on. Let's be clear - there is basically no chance he will be named MVP this year. But he is legitimately in the conversation, and he will be for the next decade. He isn't just pretty good - he's exceptional. And he is so young and early in his career that he is only going to be better. Milwaukee simply has to figure out a way to keep this guy around for a very long time. If they do that then everything will work out for them. We could talk a lot more about him, but do we really need to? Let's just say he's truly great and leave it at that. Jabari Parker: The Bucks weren't active at the trade deadline, but they didn't really need to be. After a very long absence, they got Jabari Parker back in the lineup, and that is better than any deadline deal they ever could have made. 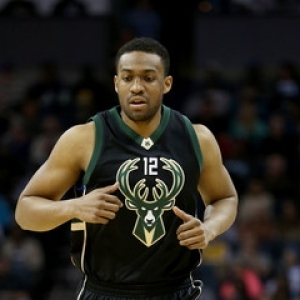 Parker, along with the Freak and Kris Middleton, form a pretty respectable big three. But the last time they played together was back in 2016. It is going to take a while for Parker to get back to full strength and to assume a regular spot in the rotation, but once he gets comfortable then this team has the ability to step things up a notch or four. That's a very good thing heading into a tense stretch drive and beyond. This all depends, of course, on whether Parker can stay healthy - which is far from a certainty. Roster depth: Young center Thon Maker says that this is the most talented team in the league. While that is obviously over the top, they are far from the least talented. Aside from that big three that we have talked about, Eric Bledsoe has a lot left in the tank, Maker is developing John Henson can play, and so on. They would be in even better shape if it weren't for bad luck. Last year's surprise Rookie of the Year Malcolm Brogdon and Matthew Dellavedova have both gone down with injuries lately that could see the former miss two months and the latter a month. That's far from ideal, but the fact that team didn't look to plug the hole at the deadline is at least somewhat reassuring. Conference divide: This is quite strange. Despite the fact that the West is dramatically stronger than the East again, the Bucks have struggled against their own group - they are just 16-15 against the East, with a 6-5 record against two divisions, and 5-6 against their own Central Division. But against the West they are 13-7. The sample sizes are too small to draw too many conclusions - especially since they are currently on a six-game winning streak against the East - but it is definitely something to keep an eye on. If they don't step up their play against the East - and especially against the good teams in the East - then all of this talk is for nothing. Coaching: Eight games ago the team dropped the axe on head coach Jason Kidd and installed assistant Joe Prunty. It was the right time to do it - the team was floundering at 23-22, were heading into a relative quiet stretch of games against easier opponents, and were about to get Parker back so had to be ready to maximize. Kidd didn't seem like he was going to last beyond this year, so nothing was lost moving sooner. And early indications have been that it was very positive - the team is 7-1 under Prunty. Now, context is important - Minnesota and Philly are the only two even remotely decent teams they have faced. But they obviously aren't pouting about the change, and it helps that Prunty has been with the team a long while and knows the players. Betting performance: Despite a solid 30-23 record, the team has been far from a joy to bet on. They sit at 23-25-5 ATS on the season. Not surprisingly, things have been better of late - they are 5-2 ATS in their last seven. That means, of course, that they were solidly profitable to bet against before this recent success. They have been completely useless for bettors on the total, going 26-26-1 on the season, with a 13-13-1 home split and 13-13 on the road.